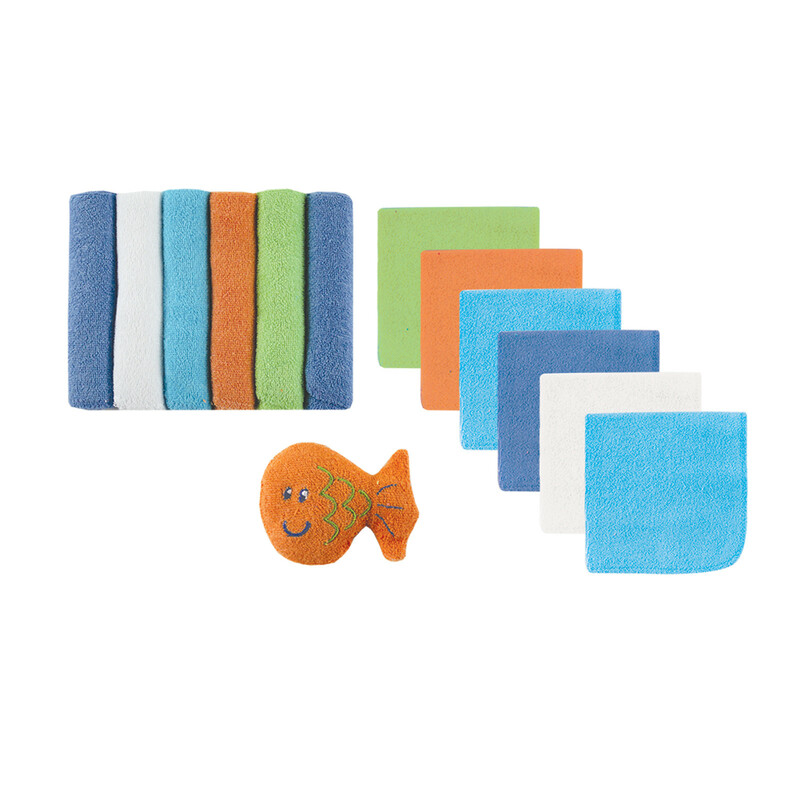 Luvable Friends 12 Washcloths in Bag comes with twelve very colorful and soft washcloths, plus a bonus soft toy. The whole thing is nicely packaged in a reusable bag. 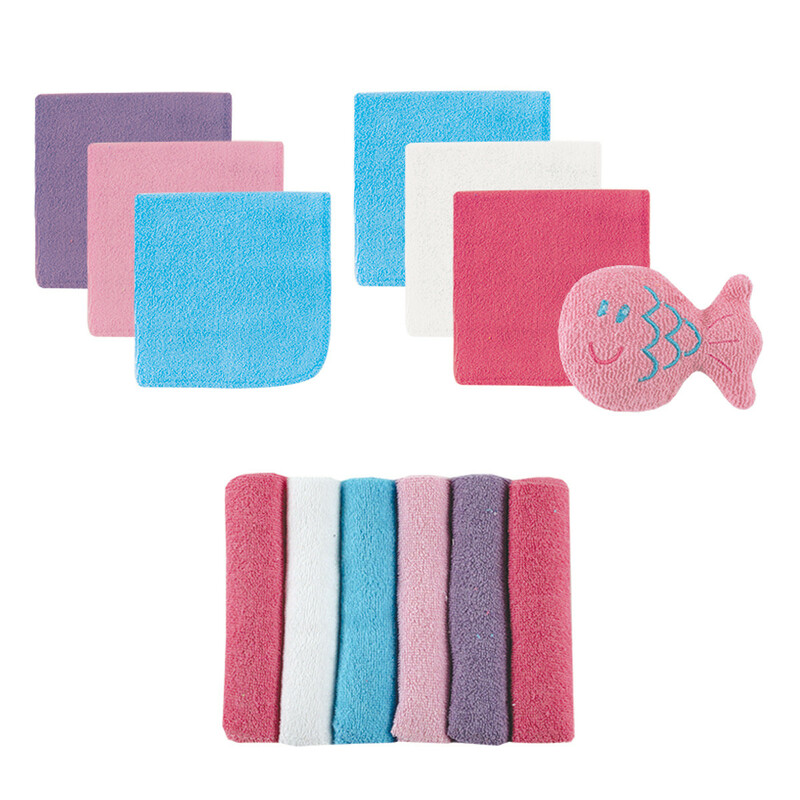 Available in 2 color choices: Blue and Pink.